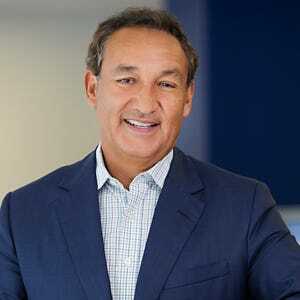 The new guy at United will follow Oscar Munoz's agenda. As a disappointed United customer, but a Continental veteran customer, I can tell you the somewhat of a rocky merger, as it's called, has destroyed the former Continental side of the airline. That's not just my opinion. Among other things, the airline finally figured out that their coffee, on-board and in airport lounges, is absolutely horrible! Maybe, just maybe, the customer service will greatly improve. I wish Mr. Munoz a speedy recovery and to Mr. Hart, good luck fixing this! United Airlines will be testing new boarding procedures at Chicago’s O’Hare airport this week, part of a broader effort to improve service. Jim Compton, United’s vice chairman and chief revenue officer, told analysts Thursday he couldn’t say precisely how the process might change, but said customers should expect changes through the end of the year. Oscar Munoz, United’s CEO who was appointed Sept. 8 and is recovering from a heart attack Oct. 15, visited front-line workers and invited traveler comments as he took the helm of the company. In full-page ads in USA TODAY and other national papers, Munoz acknowledged the 2010 merger with Continental Airlines had been "rocky" and that the company needed to earn back the faith of travelers. Brett Hart, the general counsel named acting CEO on Monday, said the company is pursuing Munoz’s agenda in his absence. Hart cited the boarding process, the in-flight experience and irregular operations as subjects for attention. One priority for Hart is to complete collective bargaining agreements with flight attendants and maintenance workers, which haven’t been resolved since the merger. Greg Hart, chief operating officer, said the airline has made improvements this year. United canceled 30,000 fewer flights this year than in 2014, so that 2.7 million fewer travelers were affected, he said. On-time performance is up 5 points, with better completion rates than competitors in New York, Chicago and Houston, he said. 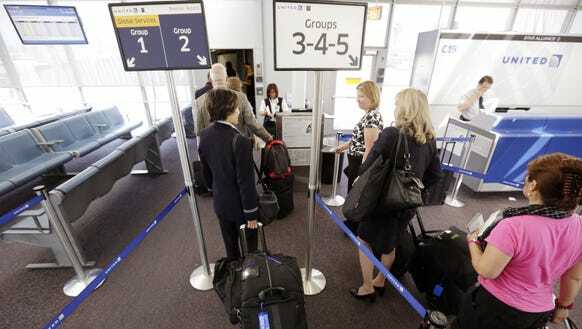 The airline’s mishandled bag rate is also 9% better than a year earlier, he said. Compton, the airline's revenue chief, said improvements in the pipeline include expandedWi-Fi and reconfiguring planes with more flat-bed seats. He said 100% of Newark flights offering United's "p.s." premium service to San Francisco and Los Angeles will have flat-bed seats starting Oct. 25. Even drinks are getting attention.